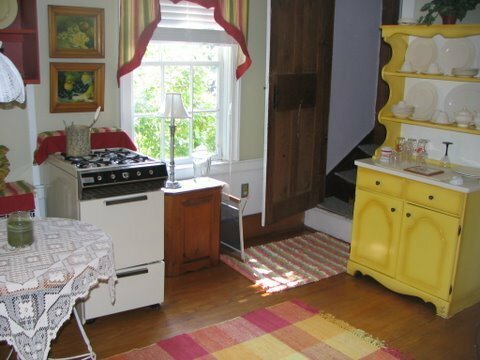 The Sitgrave House is a fully furnished guest cottage adjacent to the E. Kellogg Bed & Breakfast. Although it comes with its own kitchen, we hope you will be our guest for breakfast at the E. Kellogg. 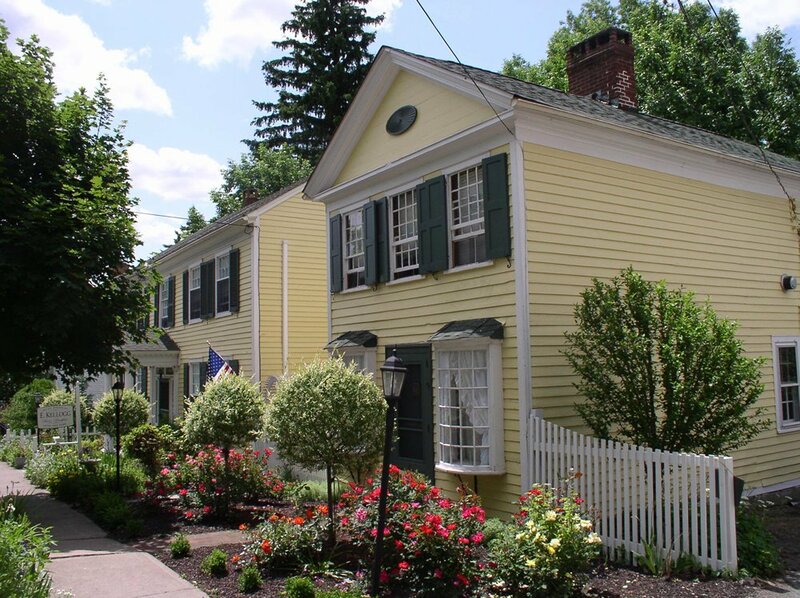 A former apothecary shop and residence for Dr. Roosa, the son-in-law of Eliphalet Kellogg, the Sitgrave House is perfect for those traveling on business or pleasure or seeking privacy and solitude among stunning surroundings. 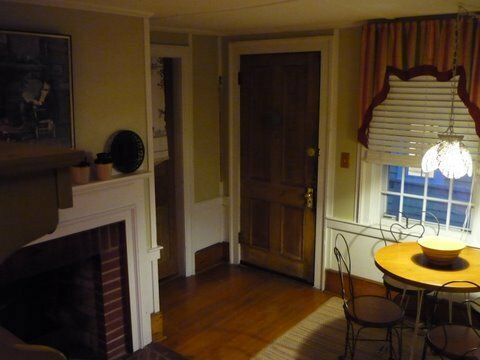 Guests enter off a covered porch into a charming dining area and small kitchen. The main floor also features a large living room equipped with DVD/VCR player. Be sure to bring your favorite movies. The living room can also be furnished to serve as an extra bedroom. While the dining room and living room feature functioning wood-burning fireplaces, we have installed ambient fireplaces for your convenience. 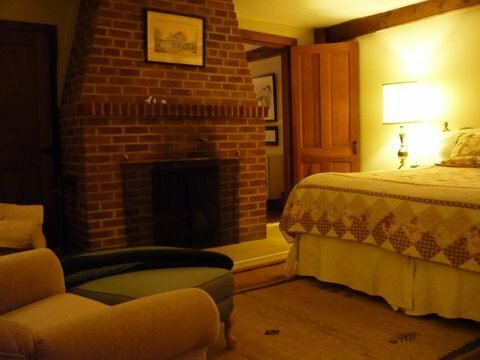 A spiral staircase leads to the second floor reading room, spacious bathroom with full tub and shower, and beautiful bedroom featuring yet another working fireplace and king-sized bed. Both make it ideal for a romantic getaway. Discounts for long-term rentals are available. Minimum two-night stay. Grocery services can be arranged. For a funeral – "This was a lovely little escape from the city, despite the circumstances. Thank you for your warm hospitality and delicious home-cooked breakfast (especially those danishes)! RT "
Step back in time in this circa 1805 cabin where time has stood still. 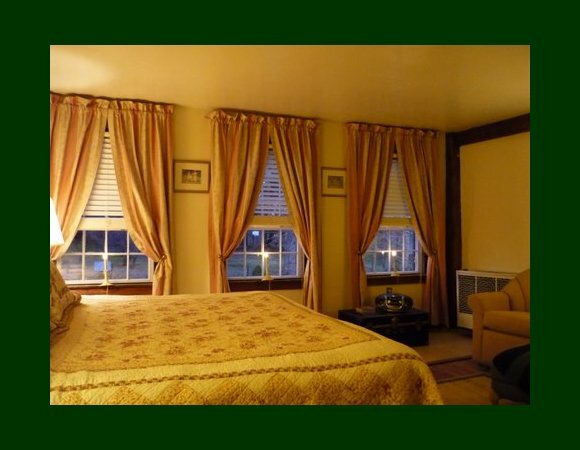 Private and intimate quarters for your romantic occasions. Perfect for the all important engagement or wedding night. Need a quick get-a-way without going to far away? 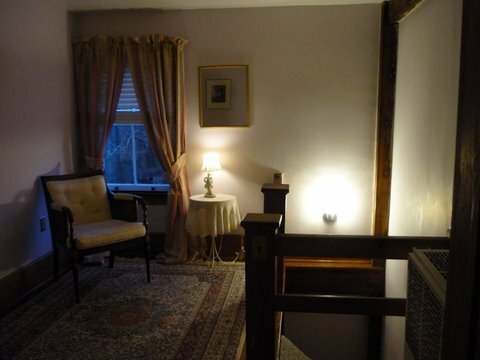 Inquire about rentals of the Sitgrave property, located right next door to the E. Kellogg Bed and Breakfast. Perfect for some alone time in the scenic and historic area.